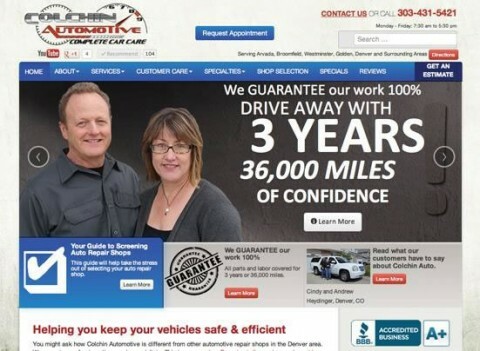 Colchin Automotive in Arvada, Colorado has a dedicated staff with 30+ years of car care experience. They will keep your vehicles safe and running efficiently. Serving the Denver, Arvada and Wheat Ridge communities you can rely on their experts for diagnosing and repairing automotive problems and providing important preventive maintenance advice. They encourage you to ask questions and they’re always happy to discuss your vehicle repairs as well as teach you about your vehicle with the goal of saving you time and money over the long haul. Their unique 7-step repair process ensures that you receive the top service and that repairs are done right the first time. When you need car care call Colchin.